Viscose is the first chemical fiber product to achieve industrialization. Its structure is similar to that of cotton. Fabrics made from viscose have good absorbency, breathability and comfort. It is widely used in clothing and home textiles, and is the second most widely used fiber amongst the chemical fiber group. Viscose has a natural advantage in terms of sustainability. Not only is it 100% plant-based which makes it fully biodegradable, it also requires less land and water per tonne produced compared to cotton. However, due to the large amount of chemicals required in the viscose production process, coupled with the release of waste-gas and waste-water, the environmental impact of viscose cannot be ignored. In addition, brands are increasingly concerned about the origins of raw material. How to maintain ecological balance while striving to meet the world’s increasing demand for forestry products are some of the challenges confronting the industry today. 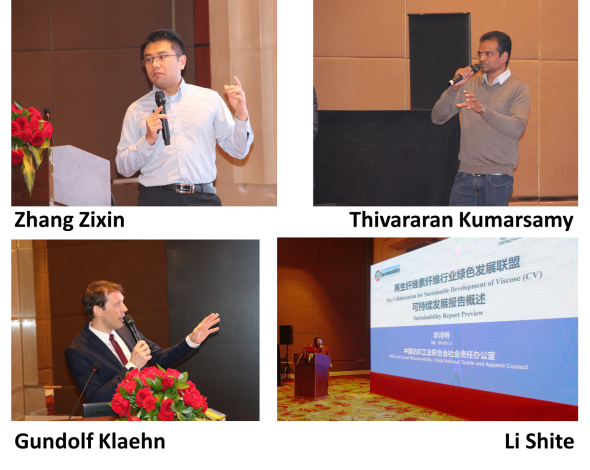 To address these challenges, CV brought together major producers representing more than 80% of the world’s viscose fibre production capacity as well as upstream and downstream actors of the value chain to extensively discuss on how to improve transparency, drive responsible sourcing and production. 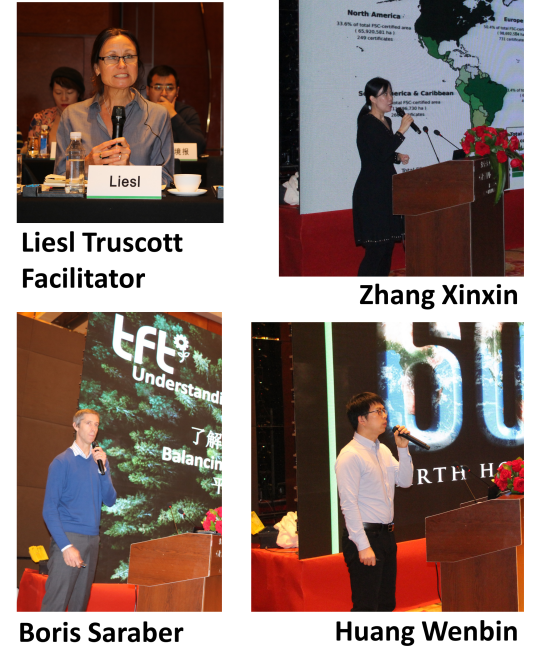 The dialogue is facilitated by Textile Exchange, a global non-profit organisation that works closely with its members to drive industry transformation in the global textile industry. At present, it has about 300 member companies across the globe covering the entire industrial chain from raw materials to brand enterprises. Huang Wenbin from WWF introduced the status of global forest resources. He said that the pulp industry (pulp, dissolving pulp, etc.) consumes 40% of the world's timber supply each year. China is the world's largest producer and consumer of paper products. China is heavily dependent on imports for pulp and wood chips as raw materials. As such, the country plays an important role in the sustainable development of forests. Huang emphasized companies needs to further promote responsible procurement in the future and eventually form a responsible market, which will provide new impetus in the future development of the enterprise. Companies can manage supply chain risks to help increase brand value. At the same time, forest sustainability depends on the support of regulations and certifications. It is recommended that enterprises ensure their wood-based raw materials are from sustainable sources through third-party certification and verification. Zhang Xinxin of NEPCon introduced the relevant standards and certifications in the forest industry chain. NEPCon is a world-renowned forest certification body with operations in 34 countries. 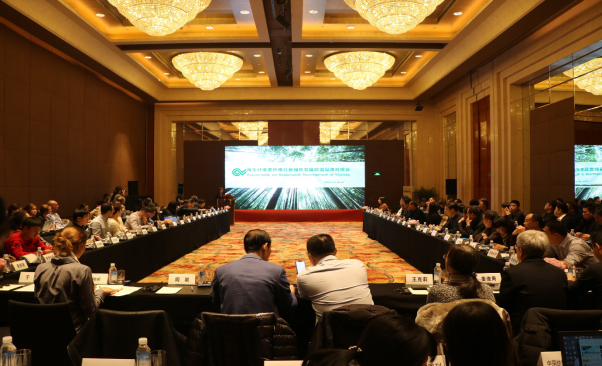 The China Forest Certification Board (CFCC) is the Chinese forest certification system management agency and is responsible for the certification of Chinese forests. At present, the world's most recognized certifications are FSC Forest Certification and PEFC Forest Certification. PEFC Forest Certification and CFCC achieve mutual recognition in February 2014. In addition, in recent years, a new standard CANOPY has emerged for the viscose industry and has gradually gain traction in the textile/apparel industry. Boris Saraber of The Forest Trust (TFT) emphasised on the importance of balancing social, ecological and economic interests in achieving forest sustainability, and stakeholders should work together to strive for transformation of supply chain, rather than elimination. Ground-verification should be incorporated as part of the risk-mapping mechanism. TFT seeks to help companies improve their sustainability performance, supporting well-known companies such as Nestlé, 3M, and Johnson & Johnson. Zhang Zixin, Secretary General of CV reported on the work of CV in the past year and shared key issues in the industry's sustainable development. Through its Roadmap, CV has set clear sustainability goals for the viscose industry. Its members have undertaken several initiatives to ensure they are on tracking in meeting the requirements of CV Roadmap. As part of the Roadmap, CV developed a “Three-Year Action Plan” to guide the members on its sustainable development journey, including energy-saving and emissions reduction technology and best practices. To increase transparency of industry, CV will release its first Sustainability Report (SR) in March 2019 which will summarize the sustainability performance of its members. To accelerate sustainable development of the textile industry, CV will reach out to other players along the value chain, such as yarn spinners and related enterprises to join CV to realise its aspiration of “Commitment to nature, from forest land to fashion”. Zhang also reviewed the various standards in market vis a vis CV standards. 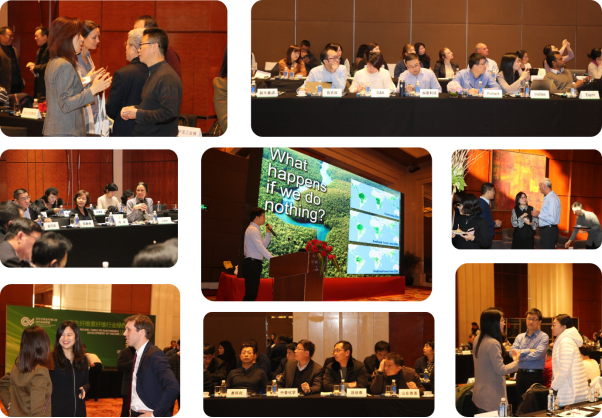 As the industry's work on sustainable development progresses, CV will continue to evaluate the global sustainability standards and embark on the development of Roadmap 2025 (CV Roadmap 2025) to continue to lead the industry in improving sustainability performance. Thivararan Kumarsamy of Esprit and Gundolf Klaehn of Partnership for Sustainable Textiles shared the working methods and needs of the terminal brand in the field of raw material sustainability. Founded in Germany in 2014, Partnership for Sustainable Textiles currently has 140 members and currently holds approximately 50% of the German textile industry market share. Gundolf Klaehn hopes that companies will play a leading role in sustainable work, and companies should set sustainable development goals and gradually improve. Industry cooperation can help companies build capacity and provide technical support. According to Thivakaran Kumarsamy, viscose fiber has many sustainability attributes if sourced and manufactured responsibly. For this reason, their use of fiber will continue to expand in the future. At the same time, Esprit has also developed corresponding procurement policies (including Canopy, CMFroadmap) in this field to ensure the fiber they procure meets their sustainability requirements. The meeting concluded with a few key takeaways: firstly, transparency is the foundation for sustainable development and trust; secondly, multi-stakeholder participation and collaboration is critical; lastly, capacity building for producers. CV believes that having these in place will help create an enabling environment for the industry to achieve transformation for the industry. CV has 14 members, including the China Chemical Fiber Industry Association, China Cotton Textile Industry Association and 12 leading viscose enterprises, involving nearly 3 million tons of production capacity, and accounting for more than 50% of the global viscose production capacity. CVis committed to promote the sustainable development of viscose. CV has aspirations to extend its membership to the downstream industry chain. To this end, CV has initiated a Supply Chain Sustainability Action Campaign and received positive responses from nearly 50 spinning companies.